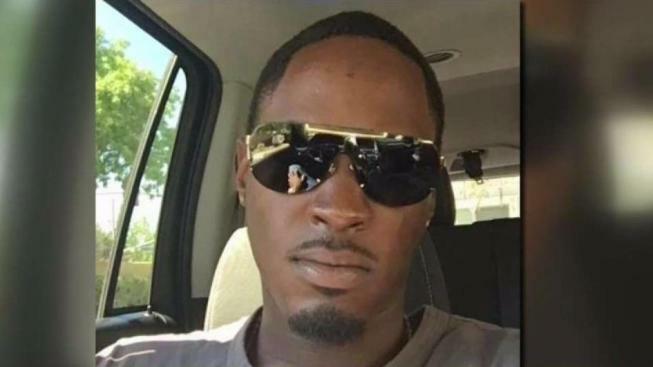 Riverside police identified the suspect behind a hostage at an elementary school Tuesday as 27-year-old Luvelle Kennon, who was shot when officers stormed the room and ended the standoff with the suspect, who later died at the hospital. Castle View Elementary school was evacuated after Kennon, who was upset for an unknown reason, barged onto the campus, assaulted a man near the office and took a first-grade teacher hostage in a classroom for nearly seven hours. The school, located on Shaker Drive near Century Avenue in the Canyon Crest area of the city, was placed on lockdown in the noon hour after the assault. Kennon, the father of a student at the school, entered the campus and punched a substitute teacher, according to police. Riverside Fire Department officials said the victim was taken to Riverside Community Hospital for treatment. Witnesses at the scene said the injured person appeared to have a bloody or broken nose. The assailant barricaded himself in a classroom with first-grade teacher Linda Montgomery, according to her daughter. Montgomery is in her 70s and has been teaching at the school for at least 20 years. The campus was initially placed on lockdown, then evacuated. Students and staff were moved to nearby Castle View Park for their safety, according to police. There were no reports of injuries to students. Castle View Elementary School, the scene of today's daylong hostage situation, will remain closed for the rest of the week, according to the Riverside Unified School District. Counseling is available to anyone who was affected by the experience. District officials said all students had been accounted for and were being released to their parents at the park. No information was available regarding the reasons why the man was enraged, nor was it clear whether he was armed. The standoff continued until shortly before 6 p.m., when police fired what were reported to be flash-bang grenades into the room and charged inside. Paramedics were quickly summoned, and they wheeled the suspect out of the room and placed him into an ambulance for a trip to a hospital in unknown condition, Riverside Police Officer Ryan Railsback said. The suspect later died at the hospital, police said. Police said earlier there was no indication the suspect was armed, but investigators did not know for sure. A short time later, Michelle Montgomery told NBC4 that her mother was not injured, only shaken. People who claimed to be relatives of the suspect said the man, who has a first-grade student at the school, had a "breakdown." His family members said they took away the man's car keys, but he still managed to make his way to the campus. Julia Alvaro, who has children ages 8 and 5 at the school, got a call informing her that the building was on lockdown. Both her children were safe, she said. "It was really overwhelming," she said. "I was just nervous."